Share this product and receive a $0.15 sharing discount. Get a grip with the multi-purpose gripper pads that do it all! 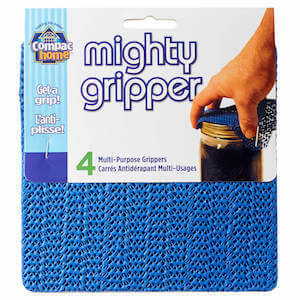 Mighty Gripper pads assist with all of your gripping needs from opening tight jar lids to keeping framed pictures in place. Since Mighty Gripper pads can be cut to fit any shape, these super-strength gripper pads have hundreds of uses.